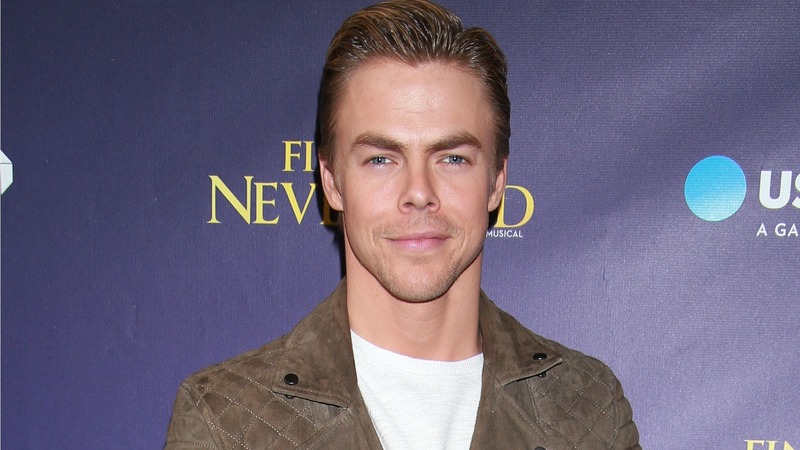 Poor Derek Hough might have to opt out of his busy dancing schedule. The Dancing with the Stars pro was injured during late-night rehearsals Monday night for the show’s 10th anniversary special, which is scheduled to air next week on ABC. Maria Menounos, Hough’s Season 14 partner and his partner for a routine during the rehearsal last night, took to social media to explain that the dancing pro hurt his foot when he smashed it on a piece of equipment. Menounos also told E! News that Hough further injured himself when he fell down some stairs while trying to get some ice for his foot. Really angry at this stupid stair for hurting our @derekhough out last night. Ugh….#DWTS #DWTS20 #badstair #menough ?? He may have broken his toe, a source told E! News, and he has severely sprained his ankle, including potential ligament damage. But an MRI, scheduled for today, is expected to reveal the full extent of his injuries. As a dancer, Hough explained he’s used to performing in pain. Still, if the reports are correct, this sounds like a pretty serious foot injury, especially for a dancer. Hough posted a picture of himself on Instagram, saying, “Just getting home from the hospital. Not the best of news. I’m in utter disbelief,” but later took the post down. Aside from his planned Dancing with the Stars anniversary special performance, Hough is also currently in the middle of working on the New York Spring Spectacular show in New York City. The Dancing with the Stars 10th anniversary special airs Tuesday, April 28 on ABC. Fingers crossed Hough will get better soon and still be able to make an appearance.